The quickness of a large ROI all depends on the factors mentioned above. On average, the majority of Search Engine Optimization efforts take from 3 to 6 to 12 months to produce a substantial return on your investment. Again, the exact timeframe will depend on the factors listed above. Read more about how we optimize for search engines below. 8 Do You Want To Rank Higher? 8.2 How do I get to the top of Google? 8.3 What is the Future of Google Search? 8.4 How Do I Get People to Notice My Website? 8.5 How do you get me more business? 8.7 Which Search Engine should I focus on? 8.8 Does Website Traffic Effect My Search Engine Ranking? 8.9 Is Tampa SEO unique? The second step is On Page SEO. This include relevant content, Proper UX, searcher intent, keyword usage, website structure, content structure, etc. The third step is Social. Sites like Reddit, Facebook, Twitter, etc make up a large chunk of the web’s usage. If your website isn’t being mentioned here (a lot), Google has a tough time ranking your site. Just like in the real world, the weather in the search engines every day. Some days it might be sunny, on other days you might have clouds, rain, or lighting. Take a look at today’s weather at Mozcast to see the SEO weather forecast. Also be sure to check back often as the wether changes frequently online. The higher the number, the more turbulence there is. Optimizing your website for search engines helps potential clients and customers find you. Increase conversions or your click-thru rate. With more web visitors, your company has the opportunity to convert visitors to sales and maximize the return on investment of your SEO. SEO is an important part of a comprehensive digital strategy. It helps the right people find you. Once you have them on your site, you want them to stick around and either buy something, contact you about your services, or drop in at your location. We have all heard this before: “People never go beyond the first page of a search engine result page.” And while this is true there are many other factors necessary to getting more business from your website that have not been taken into account in this with statement. Many companies or SEO agencies say that they can get your website ranking at the top of the first page of Google searches. But, will they actually get results or your business? People tend to utter this saying followed by empty promises and big plans and although you might be at the top of the first page of Google for a term, it doesn’t bring you any new customers. A genuine and true SEO Firm will research what potential customers are searching for online, to ensure that your potential customers find your website. From here, the next goal is ensure that your digital footprint is large enough to capture any potential customers even if they are not using Google. Most of all our goal is to bring you more business. So, what are you waiting for? Let’s get started! The best place to start is where you’re at. Whether you have some optimization on your site or none at all, Digital Neighbor can help. With Digital Neighbor, you can start or modify your current SEO to ensure you’re up-to-date with the latest algorithms and SEO best practices. We can create a digital strategy with SEO to help you meet your business goals and revamp your website for optimum visibility and ease of use. If you’re a new business and haven’t launched your site yet, we can provide start to finish digital marketing services, from creating a beautiful, search engine optimized website with original content to starting your first pay per click campaign in Google AdWords. Google has over 200 signals their algorithm reads when ranking sites. 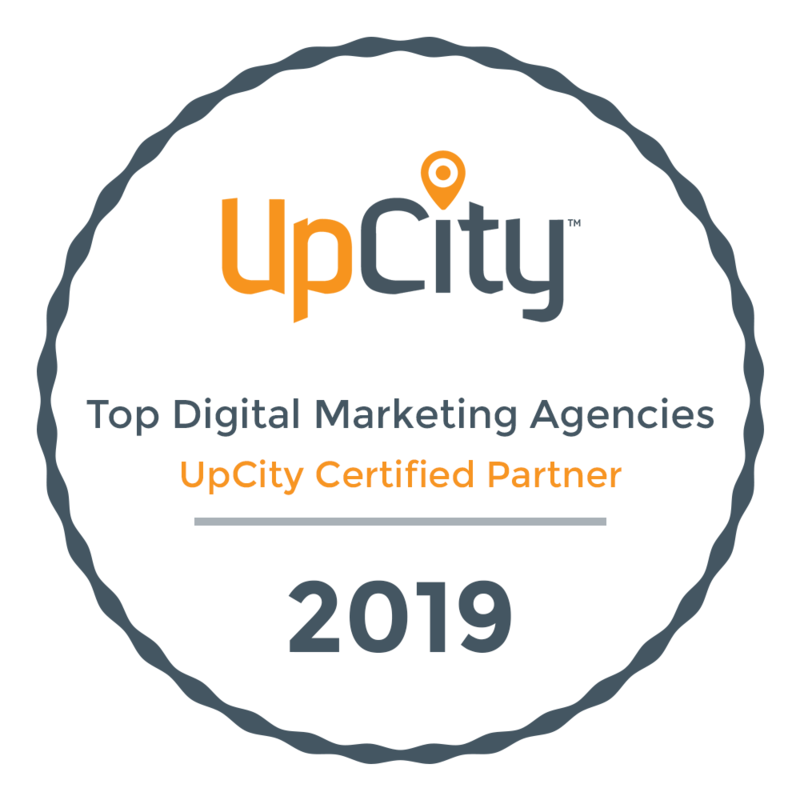 We don’t want to get too technical, but it’s important we cover it at a high level so you can understand our search engine optimization strategy. Google is always innovating. That’s part of why it dominates the search market. Their team is constantly monitoring what works and wasn’t doesn’t. In their quest to make the most intuitive search engine they can, Google frequently alters their search algorithms. While this is wonderful news for internet users, it can be a bit stressful for companies trying to get their name out there. Bing and Yahoo!, in their attempts to overcome Google’s dominance, also work hard to ensure their search engines are providing users with the results they want—meaning their algorithms are constantly changing, too. Think about it: You’ve finally ranked well in the organic results after months of SEO and all of a sudden you see a drop in your ranking and traffic. What’s going on? Changes to the search algorithm can negatively impact some businesses, requiring changes to SEO and sometimes even websites. Digital Neighbor helps businesses adapt to algorithm changes so they can continue to convert website visitors. By constantly auditing and monitoring SEO effectiveness, Digital Neighbor can quickly spot algorithm alterations and begin troubleshooting. SEO isn’t a “set it and forget it” kind of thing. It’s a process that requires analysis and adaptation in order to succeed. Old tactics like keyword stuffing no longer work. Google and other search engines want to show searchers results that add value to their lives. That means new original content and appropriate keywords for your target audience. Digital Neighbor provides multiple types of SEO services in addition to full-service SEO. Need a new site? Digital Neighbor can craft a new custom site for you—and optimize it at the same time. When it’s time to launch, we can work with you to ensure your optimized appropriately for your audience. If you already have a website, consider optimizing it with the right keywords and content to attract potential clients and customers. Digital Neighbor can craft a plan that’s in line with your company goals. Wondering just how optimized your site is? Digital Neighbor can check for you and provide you with a plan going forward. Don’t just assume you’re getting your fair share of the market. Audit, analyze, and revise your tactics for maximum growth. Local SEO differs from organic search results. If you’re providing a service for a specific location, you’ll want to ensure your listings are being seen by those most likely to use your company. Google My Business and other Local SEO tools can help you rank in the Local search results so you can be sure potential customers and clients can find your site. Wondering which phrases you should be using to get the most views from your target audience? Digital Neighbor can research which keywords are the best fit for your company and goals and let you know how to best utilize them. Sometimes your in-house team needs a boost. Digital Neighbor can provide consulting services to help troubleshoot digital marketing issues like optimization failures, poor PPC campaign results, KPI measurement issues, and more. Sometimes a company just needs more information. That’s why Digital Neighbor is happy to pass along our knowledge and train you or your employees on SEO best practices, Analytics, or more. If you think your team could use a digital marketing primer, let us know! Do You Want To Rank Higher? Get a 100% risk free SEO Audit Report that explains in detail how to get more traffic and sales through search engines. We get asked a lot of questions about search engine optimization, SEO, and the web. So below is a place with solid, straightforward answers to your questions. This is the question most frequent question we are asked. We enjoy when people ask this question as we love to answer it. To put it into a single phrase, the answer is: be relevant. SEO research and experience have proven that Google is always looking for the most relevant website based on what people are searching for. However, keep in mind that there are at least 300 different metrics and ranking factors that Google uses to determine which website deserve the top spots. But at the end of the day, if your website is relevant and useful to the user you have a solid foundation. Google is constantly evolving and learning. By doing this it is able to focus more on so-called user intent. Google wants to present you with the most relevant result. In order to do this, Google looks at which device you are on, where you searching from are, your previous search history, and much more. Based on all this Google shows you certain search results. If you’re walking down Howard Ave in Tampa and search for ‘Restaurant in Soho’ on your phone, your result will be completely different than if you search for the same term at home on your desktop computer – because your intent is different depending on exactly where you are, what time of day it is, etc. So what does this mean for SEO? Better results for the user. Don’t be worried about these changes potentially affecting your website. If you are doing a good job and following SEO best practices, just keep it up, and you will see the results. Frankly, it takes a lot to have a website that stands out from the billions of other websites on the web. However, there is a simple answer to this question. You need to do two things: Firstly, your website must offers value to your target customer’s life. Secondly, it must be easy to navigate and understand. People don’t have time to waste and will quickly look somewhere else if your website does not offer them any value. We convert the visits to your site into calls, e-mails and ultimately customers. Our 100% responsive websites feature higher conversions. We design them specifically to target “ready to buy” customers. People will have an instant idea of what products or services your business provide and what you do. When your campaign goes live, we make it easy for people to find you, visit your website and become a conversion. Yep, it’s that simple.The only thing left for you to do is close the sale. There is no simple answer to this question. Digital Neighbor’s answer might be different than most. Traditionally, it is the process of optimizing a website to rank higher in search engines, but we don’t stop there. We optimize no matter where people will be search for you: on social media, directories, in app stores, etc. In addition, for us SEO includes conversion optimization. That is why we do not just optimize for search engines, but for users as well. If done correctly, SEO will bring you more business, not just higher rankings. This question is not as easy as it might seem. It all depends on your target demographic. This will tell you everything you need to know: How old are they? How do they access the web? What browser do they us? Firefox? Internet Explorer? Chrome? Or perhaps something else? Are they computer savvy? Obviously, Google should always be on your mind when it comes to search, especially as they garner over 70% of search engine usage. But, that doesn’t mean you should rule out the others. If your target audience prefers Internet Explorer, Bing is a good solution. If they are looking for answers to questions, Yahoo is a good source. If you need some help finding out which search engine to target, just send us a message. We are always happy to do the research for you. Your goal is to grow your business in one way or another. And while increased traffic brings more potential customers to your website it is not the end all be all. Blindly gaining too much traffic from random sources actually hurts your rankings. This is because low quality traffic will signal to Google that your website is not worth ranking. Think quality over quantity when it comes to website traffic. Yes, Tampa SEO is absolutely unique. Just like any other major city in the country, a unique and custom approach to SEO is necessary to be successful and dominate Google. Contact us today to get top SEO rankings. Digital Neighbor has over ten years of experience assisting local Tampa businesses with digital marketing. As a full-service digital marketing agency, we aim to make our clients’ digital goals into reality. As a local Tampa enterprise, we understand the needs of local businesses as well as Tampa SEO. We love to see Tampa businesses succeed and are proud to offer our services to such a vibrant business community. Whether you’re looking for an SEO expert to help bring visibility to your company or in need of a full-scale digital strategy, Digital Neighbor gets things done. Don’t let SEO remain a mystery. Contact Digital Neighbor, your Tampa SEO Specialists, today and start unlocking the code.